There is about 87.4 billion sq ft of commercial space in the US which requires the attention of custodial service providers every day. That number is rapidly growing as new construction increases. Today the custodial staff have to walk around and check garbage bins, paper rolls in that space even if that doesn’t require their attention. If an individual covers approximately 2.5 sq ft / stride, the collective steps by the American custodial staff is about 33.6 Billion. The part where it becomes interesting is the cost, the average labor cost is about $0.10 / sq ft / month, which is again a constantly changing number (as wages increase). So a very simple calculation reveals that for every step taken by a custodial staff the building owner pays $0.25. Hence the collective strides of the custodial staff adds up to 10s of Billions of dollars. 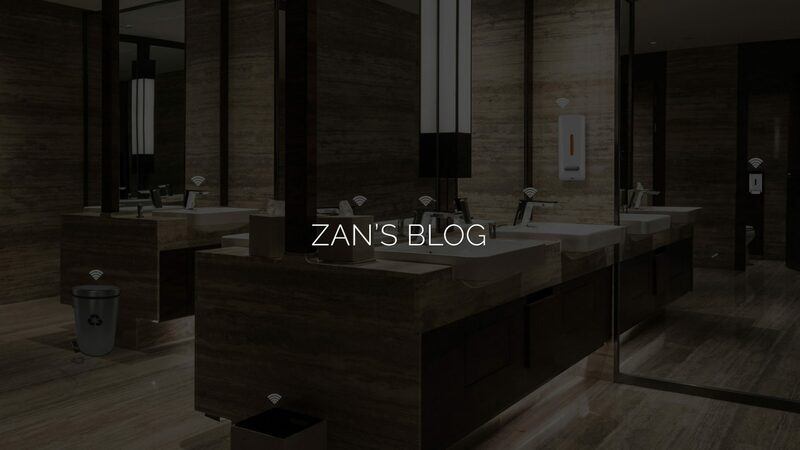 At ZAN Compute our view is that automation is inevitable in this space. The transformation to an on demand cleaning is critical, and we have a solution that does exactly that. Our patent pending Smart Facility Management Platform (SFMP) combines the power of wireless sensor and data analysis. 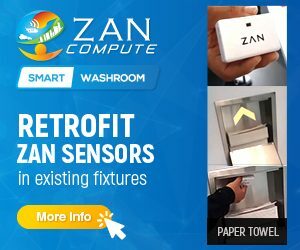 The solution includes, sensors in regular objects like garbage cans, toilet papers, and towel dispensers etc, sending realtime data to a cloud platform. 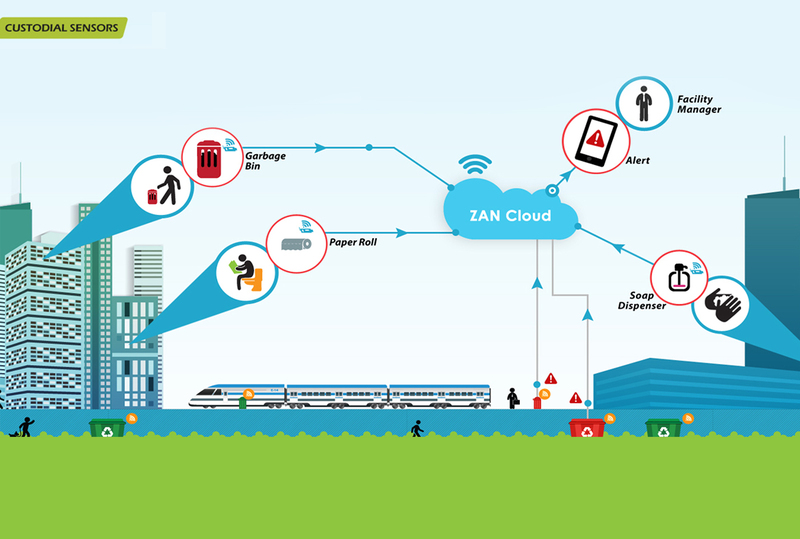 ZAN cloud platform aggregate, fuse and synthesize the data to provide an on-demand schedule and alerts, that will allow facility managers to greatly optimize the custodial process.